Kyle Grillot - kgrillot@shawmedia.com Graduate Thomas Reagan points to the crowd after receiving his diploma during the Huntley High School commencement at the Sears Center Arena on Saturday, June 1, 2013. Kyle Grillot - kgrillot@shawmedia.com David Crump kisses graduate Alexandra Beaudette after the Huntley High School commencement at the Sears Center Arena on Saturday, June 1, 2013. 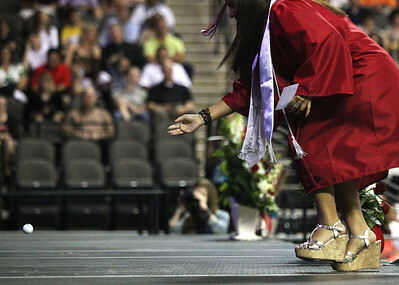 Kyle Grillot - kgrillot@shawmedia.com Graduate Sydney Wieczorek throws a golf ball to principal David Johnson in recognition of his last year at Huntley during the Huntley High School commencement at the Sears Center Arena on Saturday, June 1, 2013. 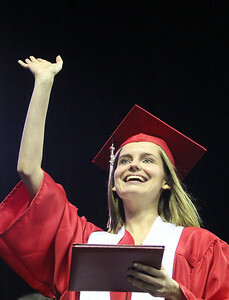 Kyle Grillot - kgrillot@shawmedia.com Graduate Megan Schulz waves to the crowd after receiving his diploma during the Huntley High School commencement at the Sears Center Arena on Saturday, June 1, 2013. 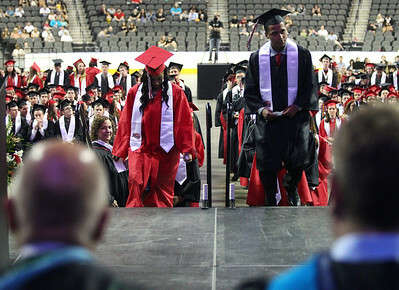 Kyle Grillot - kgrillot@shawmedia.com Graduates enter the stage to receive their diplomas during the Huntley High School commencement at the Sears Center Arena on Saturday, June 1, 2013. 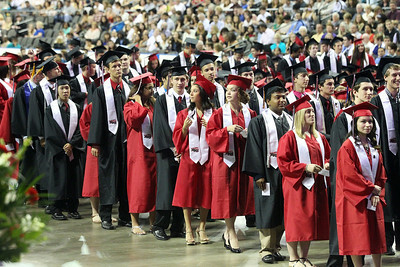 Kyle Grillot - kgrillot@shawmedia.com Graduates wait in line to receive their diplomas during the Huntley High School commencement at the Sears Center Arena on Saturday, June 1, 2013. 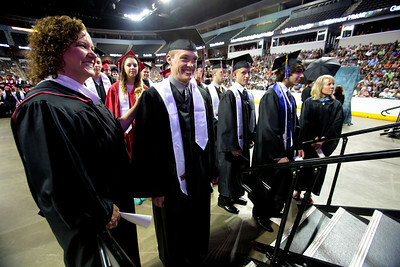 Kyle Grillot - kgrillot@shawmedia.com Counselor Angie Daurer assists William McFall before he enters the stage during the Huntley High School commencement at the Sears Center Arena on Saturday, June 1, 2013. 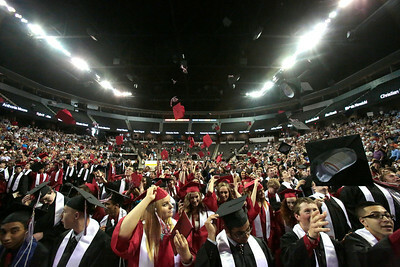 Kyle Grillot - kgrillot@shawmedia.com Graduates throw their caps after the Huntley High School commencement at the Sears Center Arena on Saturday, June 1, 2013. 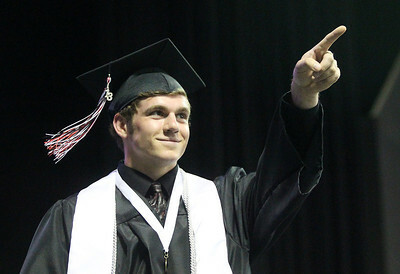 Graduate Thomas Reagan points to the crowd after receiving his diploma during the Huntley High School commencement at the Sears Center Arena on Saturday, June 1, 2013.